Home to over 100 living displays including Europe’s largest collection of sharks, Blue Planet Aquarium offers a whole world of underwater discovery. Be sure to check out one of our daily Aquatheatre shows and get up close to our divers as they feed the fish in our huge underwater viewing window – all in front of the sharks. Blue Planet Aquarium is famous for its Shark collection – one of the largest in Europe! There’s always a range of different feeds at Blue Planet Aquarium every single day! Check out the timetable located in our foyer when you arrive. Get close to nature, learn about exotic fish, live corals and meet our loveable clown fish in our Reef Magic exhibit. Other exciting exhibits include seahorses, starfish, piranhas, caiman crocodiles and outdoors the Otters and an amazing Pirate Playground! Once Britain’s Best Kept Secret, today Bletchley Park is a heritage site and vibrant tourist attraction. Open daily, visitors can explore some of the iconic WW2 Codebreaking Huts and Blocks and marvel at the astonishing achievements of the Codebreakers whose work is said to have helped shorten the war by two years. Public interest in Bletchley Park has grown enormously over the past few years and the number of visitors to Bletchley Park in 2014 was 195,000. Bletchley Park is run by the Bletchley Park Trust, a charity formed in 1992 to preserve the site for the nation. Today, the Trust is working towards transforming Bletchley Park into the world-class heritage and education site it deserves to be. Work has been completed to create a new Visitor Centre within Block C where Hollerith punch-card machines carried out rapid analysis of encrypted message systems to assist the Codebreakers. In parallel the iconic Codebreaking Huts 3 and 6 have been restored and opened up for visitors and the landscape has been returned to its 1940’s appearance. Breathtaking new exhibitions have been developed to significantly enhance the visitor experience at Bletchley Park. The Bletchley Park Trust was awarded Business of the Year 2014 at the Milton Keynes Business Achievement Awards. NORTH PIER BLACKPOOL is the oldest and longest of Blackpool’s three World famous piers. Along with Central Pier and South Pier Blackpool the attractions are owned and operated by Piers (Blackpool) Ltd. Whether it be in the North Pier Theatre, The Merrie England or on the Pier itself we present a great line-up of shows and events with something for everyone and loads of free entertainment! BLACKPOOL’S ORIGINAL & BEST PARTY VENUE! The Merrie England Bar is without doubt the number one party and fun destination in Blackpool. Tourist or local, no visit into town is complete without dropping into The Merrie to enjoy the atmosphere and a drink right on the famous Promenade. The public bar is open daily from 11am to 11pm and presents a line-up of free music and entertainment both inside and out in the beer garden, mainly for an adult audience. Welcome to Bill Quay Community Farm, a treasured green space on the edge of Gateshead, Tyne and Wear. Farming for fun, learning, food and wellbeing, there is always something going on at the farm. Since July 2013, the farm has been run by Bill Quay Community Farm Association, a registered charity which operates the farm on a not-for-profit basis for the benefit of the wider community. 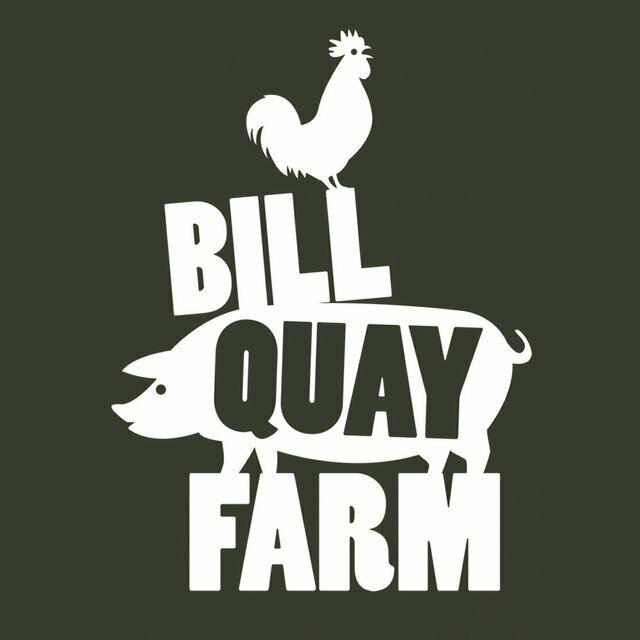 Bill Quay Community Farm is a working farm which produces a small but regular amout of meat products. Our delicious Bill Quay Bangers are available to buy from the farm cafe and bulk orders can be taken for pubs, cafes and restaurants. We also produce other pork products on request and have lamb available seasonally. Welcome to Belford and District Hidden History (BDHH), an evolving exhibition which seeks to throw light on the past of Belford and its surrounding area, and on the lives of the men, women and children who lived here. From 2008, Fiona Renner Thompson mounted a series of summer displays in empty buildings in the High Street. In 2012, the village Community Group succeeded in obtaining grants under the Heritage Lottery Fund’s SOS Villages scheme and from Northumberland Area of Outstanding Natural Beauty. The Trustees of Belford Reading Room granted the Group a five year lease of part of this historic building. The Reading Room was originally provided by the Rev. John Dixon Clark, the then squire, in 1854. His aim was to improve community feeling by bringing landlord, farmer and tradesman into social contact by providing them with access to a plentiful supply of newspapers. To these facilities was added a popular Billiards Room. During the First World War, it was a well used meeting place for the soldiers billeted in the village. and by the end of the War, needed refurbishment. When, in 1923, the Belford Hall Estate was auctioned off, the building was sold privately to the Reading Room Committee. Gerard Leather, the owner of Middleton Hall, was particularly keen to improve the facilities for the ex-soldiers, in memory of his three brothers who were killed in the war. With his encouragement and fund raising, the British Legion redecorated the rooms and repaired the billiard table in 1925. Then, in 1934, when the old A1 through Belford was widened, the old building was demolished to be replaced by the one you see today. Belford and District Hidden History (BDHH) is registered with the Community Archives and Heritage Group. See the photos from our recent 85th Anniversary event! Set in the North Devon countryside the zoo hosts winding paths lined with shrubs and trees providing homes for many of our wild species of birds and invertebrates, bringing you that much closer to nature. What’s around the next corner? Take a look and enjoy the atmosphere of a relaxing stroll around our family run zoo. Take your pick of a mixture of talks, handling and feeding sessions we provide all year round. You could make a friend with an Alpaca by stroking their soft warm fleece, or conquer your fears by handling a spider and snake! Ever wondered what the Exmoor Beast favourite meal is? Find out at our Exmoor beast feed and talk! There is lots to see and do whatever the weather here at Exmoor Zoo. We look forward to seeing you soon! We are extremely proud to announce that we have just been awarded both the best small attraction in Devon and the whole of the Southwest – a great achievement. The zoo is not so large so as to prevent you seeing everything in a visit and has some very rare and unusual animals on display – many of which you will not see in other UK zoos! Why not come and pay us a visit – you would be most welcome!